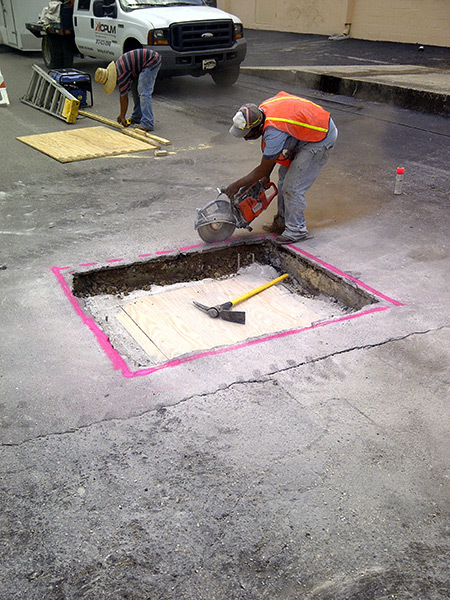 Sealcoating is an essential component of all successful pavement management plans. 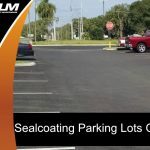 Sealcoating parking lots require the use of coal tar pitch or an asphalt cement. 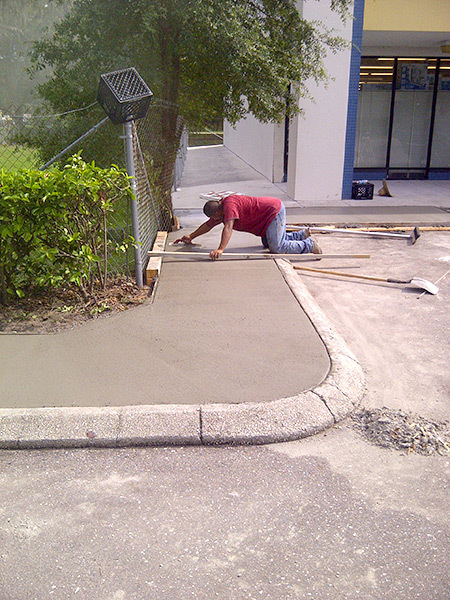 Asphalt cement is combined with inert fillers, emulsifying agents, water, additives, etc. 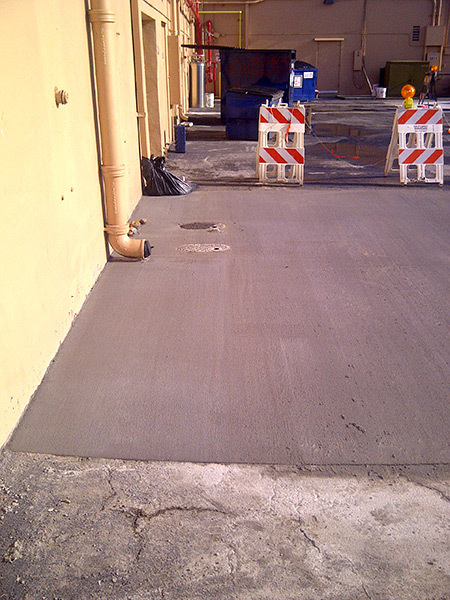 Pavement sealing is added to the parking lot or other space in a thin coat. This coat guards off-highway pavement against oil, gas, water, the sun’s UV rays, salt, and other threats. Asphalt gradually deteriorates just like every other material. Give your asphalt long enough and it will eventually oxidize and fade in hue. Your asphalt might turn grey in color. The best approach to preserve the beauty of your lot is to have it sealcoated at least once every two years. 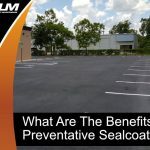 Once your lot is sealcoated, it will have a black finish that safeguards this important portion of your property while simultaneously extending its useful life. 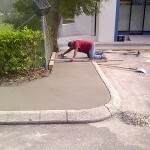 Clients commonly ask when the best time is to have their parking lot or other space sealcoated. 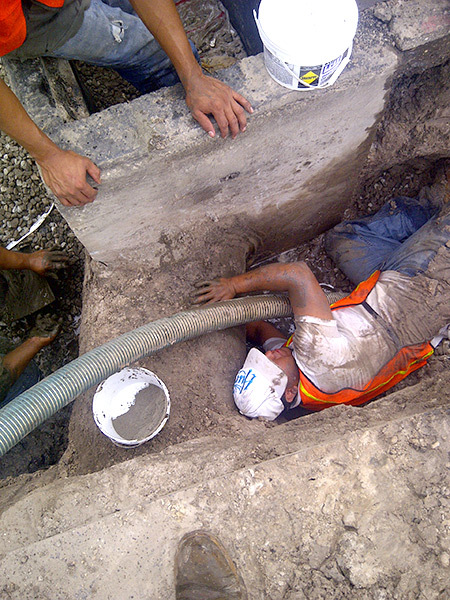 In general, sealcoatings should be performed once every couple years. However, some parking lots require a sealcoating once every year. Have your property sealcoated every 30 months or so just to be on the safe side and you won’t have to worry about whether this important portion of your business is in its best condition. It is worth noting weather has the potential to impact the frequency of the sealcoating. 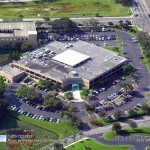 Even the level of traffic that moves across your lot plays a part in determining the proper sealcoating frequency. 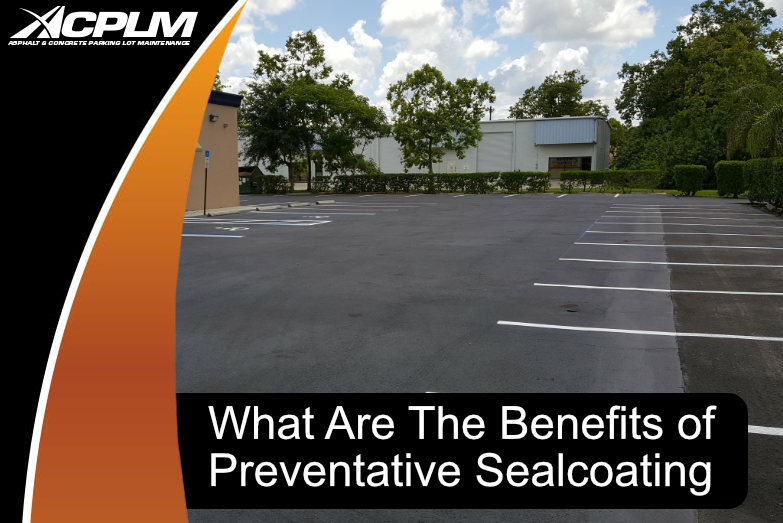 If your parking lot is fading, showing signs of wear and tear or cracking, it is an indication you have gone too long between sealcoatings. 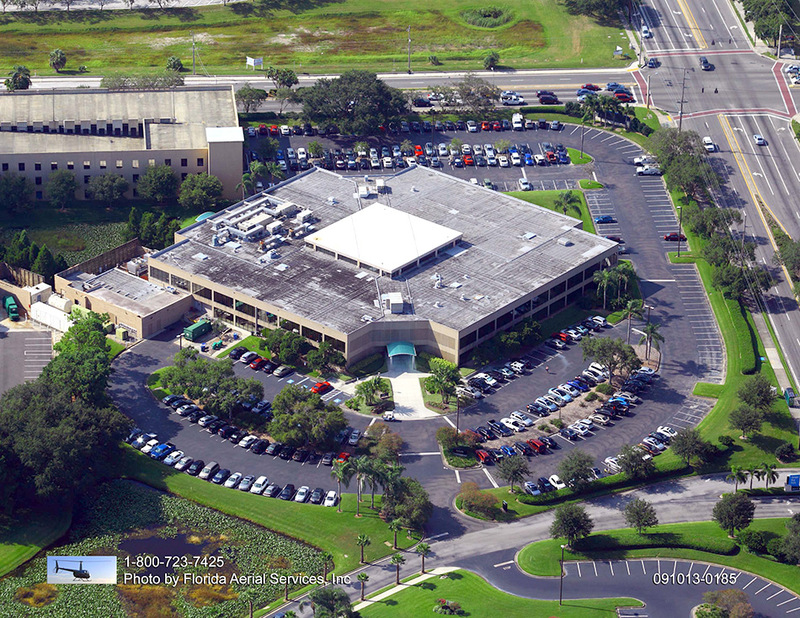 Reach out to our team right away for a comprehensive evaluation. Have your pavement sealcoated and it will be that much darker in color. This is the crisp, clean and visually appealing look your property needs to look great and prove more pliable. The darker your pavement is, the more heat it will draw from the sun. 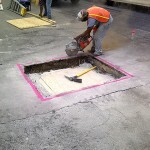 This heat is helpful for pliability that helps the pavement endure the pressure from traffic above without succumbing to nasty cracking. Sealcoating is helpful in that it fills surface voids to decrease oxygen exposure. The filling of surface voids also protects against exposure to the sun’s ultraviolet rays. 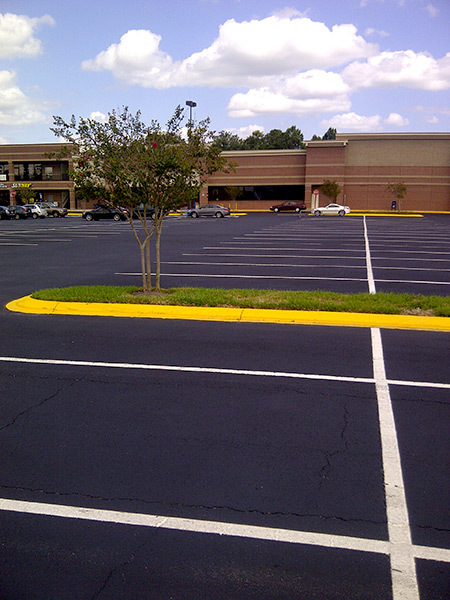 Sealcoating parking lots even decreases the depth at which gas or oil penetrates the pavement. This is the important protection your lot needs to look great and prove functional for years to come. Even if functionality and useful life are not your primary concerns, you are likely mindful of the appearance of your parking lot. 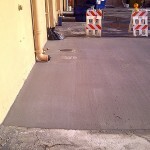 Once your pavement is covered with the dark sealant, it will look fresh and presentable. This beautiful aesthetic will make your property look and feel that much more welcoming. Sealcoating fills those pesky surface spaces, creating an area that is even and smooth. Once your lot is sealcoated, you will find it is that much easier to care for as time progresses. 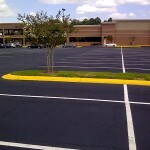 Sealcoating parking lots makes it that much easier to eliminate debris and other gunk as the surface is nice and even. In order to realize the benefits noted above, the sealcoating must be properly applied. 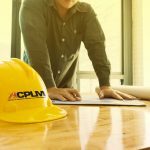 ACPLM is your go-to source for sealcoating. Sealer is sensitive in that it is water soluble. This material will prove vulnerable until the drying process is complete. Sealer must be added when the conditions are clear and the temperature is optimal. 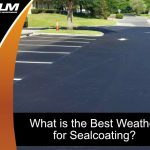 Though the application of sealcoat does not take long, it might take upwards of a day and a half for the drying and cooling process to complete. Sealcoating parking lots is our business. 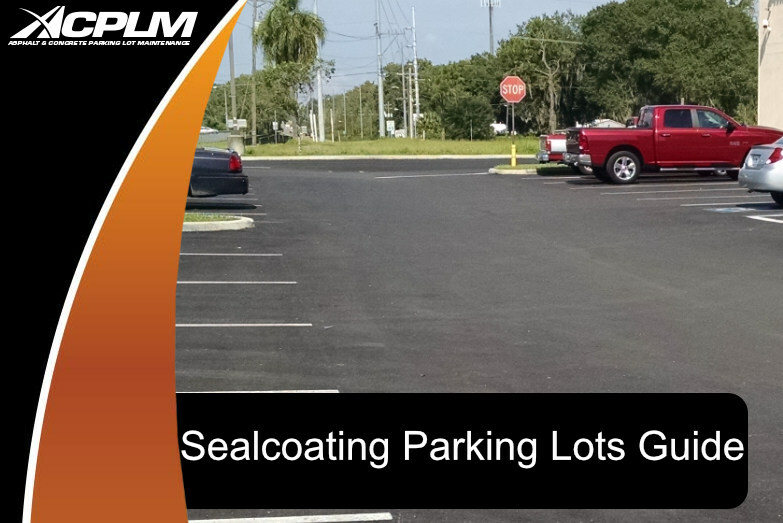 Reach out to ACPLM today at 888-959-9637 for a no-cost consultation for sealcoating parking lots and learn more about our paving services and parking lot maintenance team.